Online shopping is the hype nowadays and everybody wants to jump on the wagon. The current collaboration between Watsons and Digi has resulted in Watsons Monday Superdeals - available on MyDigi. It is an array of offerings that all of us should not let go. How did it not? The amazing offers start from RM0.99 until RM8.99 - for selected health and beauty products in Watsons. So, if you are having Monday Blues, tap on your choice in MyDigi app to shoo away your Monday Blues. And I love the commercial too - calling it the sound of $avings - a clever video! During the launch by Danny Hoh (Customer Director Watsons Malaysia), Francis Chang (Head of Customer Management Digi Malaysia), Foo Hwei Jiek (Head of Trading Watsons Malaysia) and How Lih Ren (Head of iTelco Digi Malaysia), the crowd were given the chance to redeem the Watsons Monday Superdeal on-the-spot. The crowd were also given a chance to play some games where they could win amazing gifts from Watsons. I joined the merriment and went home happy with quality goods from Watsons. Lucky are Digi users as they get to be pampered every Monday and saves a lot too! 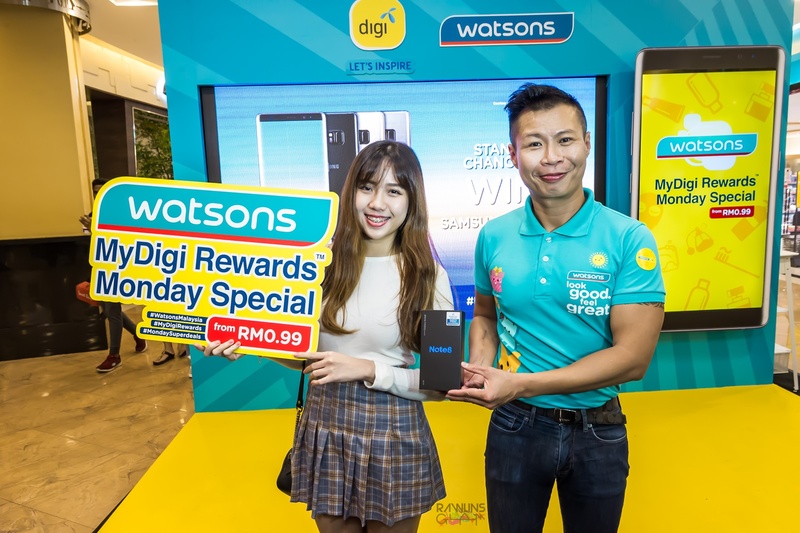 It is a timely collaboration between Watsons and Digi as both have expanded nationwide, including secondary towns and market centres - empowerment to 12+ million customers to redeem their rewards wherever they are. Pssst. If you are Watsons VIP members, get to the nearest Digi Stores and enjoy 15% off mobile accessories by just flashing your Watsons VIP card from 16 October onwards. Spread the words around ok.
She got Samsung Note 8! They have taken their Superdeals, what about you? Good for DiGi users.. Jealous!! indeed nice place to shop and use Digi service. Yeah need to check on the DIGI app now! Huntung lah pengguna DiGi kita ni tak guna boleh ker muat turun applikasi ini dah gunakan..
this campaign is only for DIGI user am i right?alaaa...im maxis user..cannot download meh? yeay..im DIGI user..that's why i setia dengan DIGI..macam2 benefit ada..hip hip hooray..
nak download jugak... tapi celcom lah! Thanks for sharing. I am a digi user, hehe. I like shopping at Watsons when I was in Malaysia. They've good quality products that very affordable. I'll share this with my friend who's in Malaysia. wah I am not a DiGi subscriber. I am losing out. 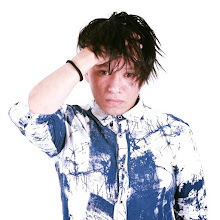 How can??? There better be a sweeter collaboration with Celcom! Wowww dapat Phone tue... Tapi kita pakai Maksis... boleh ke? The deals they have with Digi is so worth! Gotta do some shopping using their apps now.